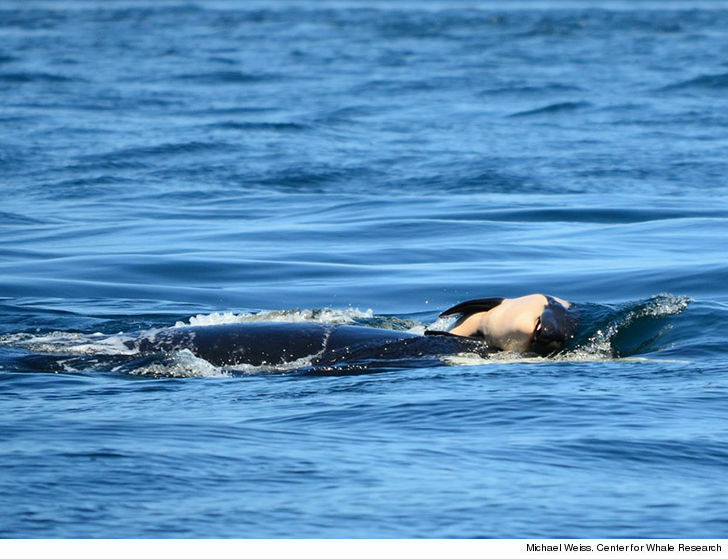 A Southern Resident killer whale whose calf died shortly after birth last month was finally seen swimming without the carcass 17 days later ... according to scientists, who say her "tour of grief" is over. The Center for Whale Research announced Saturday that the mother orca in question -- who goes by both Tahlequah and J35 -- was seen swimming solo near British Columbia with her pod chasing a school of salmon ... the first time she'd been seen without the body of her deceased calf since July 24. Scientists say the whale refused to part with the carcass for a whopping 17 days, in what they described as severe grieving. The CWR says mother whales have been known to transport their dead calves for up to a week at a time, but this case was unprecedented. Photos and video showing Tahlequah keeping the baby whale's body afloat soon after it died quickly went viral, especially after each passing day. 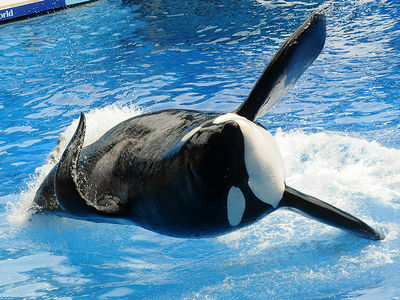 The CWR says 100% of pregnancies for Southern Resident killer whales over the past 3 years have failed to produce viable offspring.